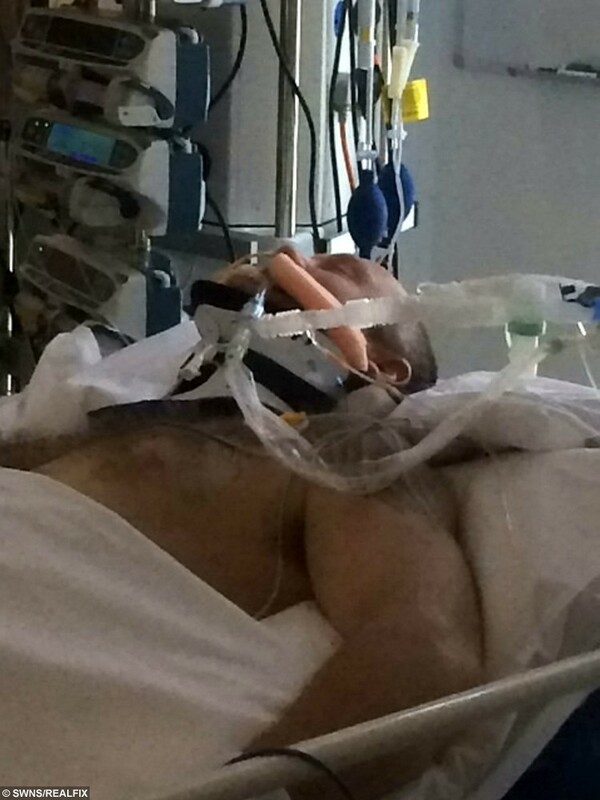 A dad got married in hospital after he shattered his spine when he slipped and fell – in a PADDLING POOL. 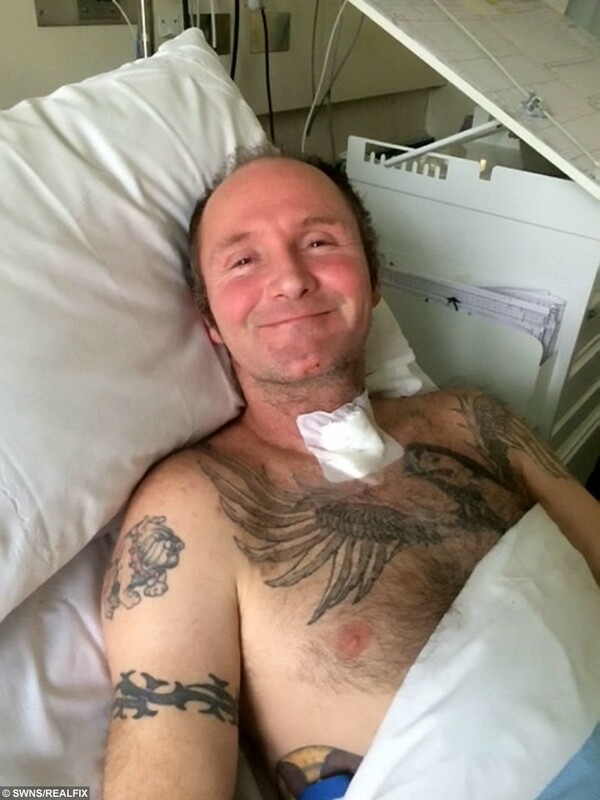 Stuart Vinter was having a water fight with his step-son in his back garden when he fell on the slippery surface and broke his spine – paralysing himself from the chest down. 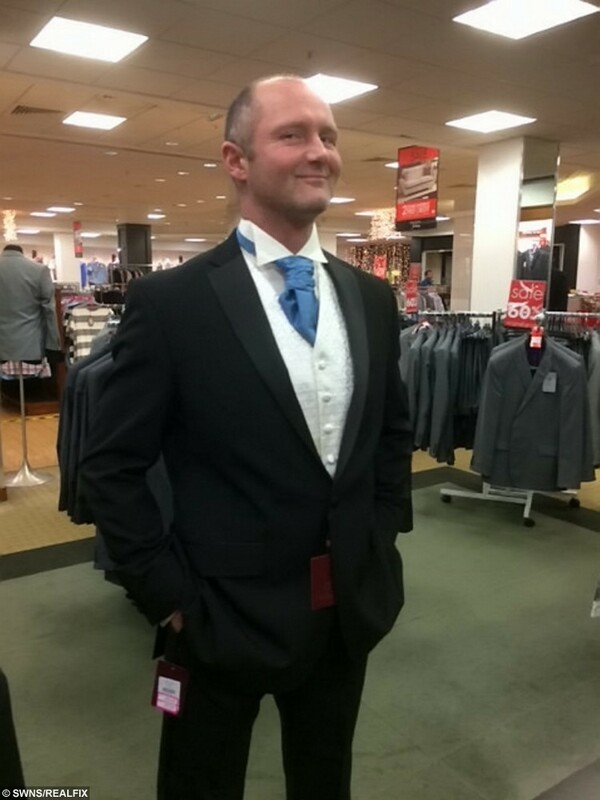 The 42-year-old was due to marry fiancée Shelly Skinner in her dream ceremony – eloping to Gretna Green – just four weeks before his freak accident. 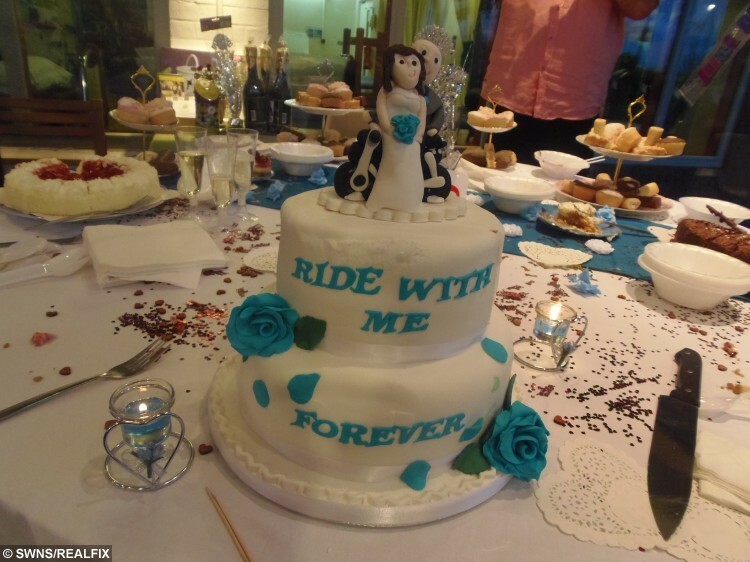 But instead, the welder got married to mum-of-three Shelly, 39, in the garden at Salisbury Hospital in Wiltshire – with a disabled man in a wheelchair as the cake topper. Shelly said: “Getting married in a hospital is nobody’s fantasy, but our ceremony was beautiful and I wouldn’t change anything about it. Stuart had been having a water-fight with Shelly’s eldest son Euan, 17, when he slipped and shattered his spine in their paddling pool in their home in Kington Langley, Wilts, last June. Shelley said: “I was washing up while they were messing around in the paddling pool outside, and suddenly Euan shouted that Stuart wasn’t moving. 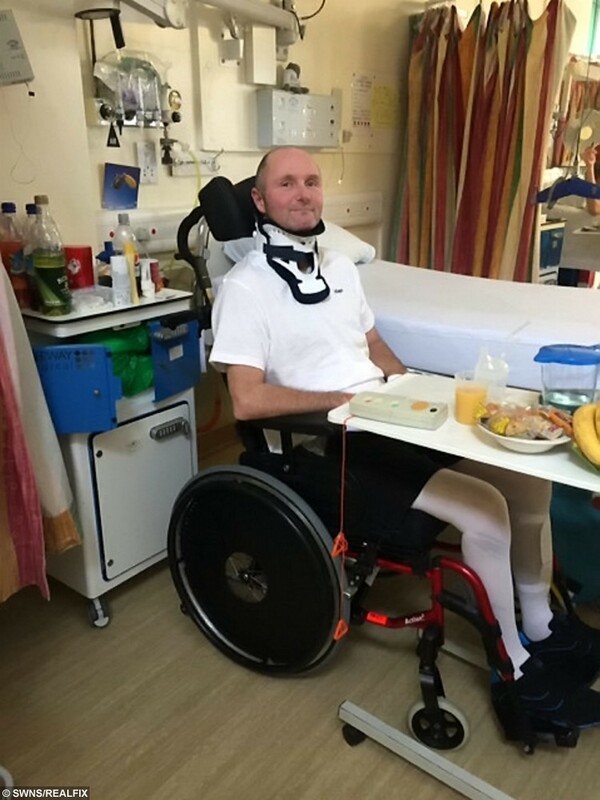 Stuart was airlifted to Royal United Hospital in Bath where after an 11-day coma he was told his shattered spine meant he was paralysed from the chest down and that his hands would also be immobile. 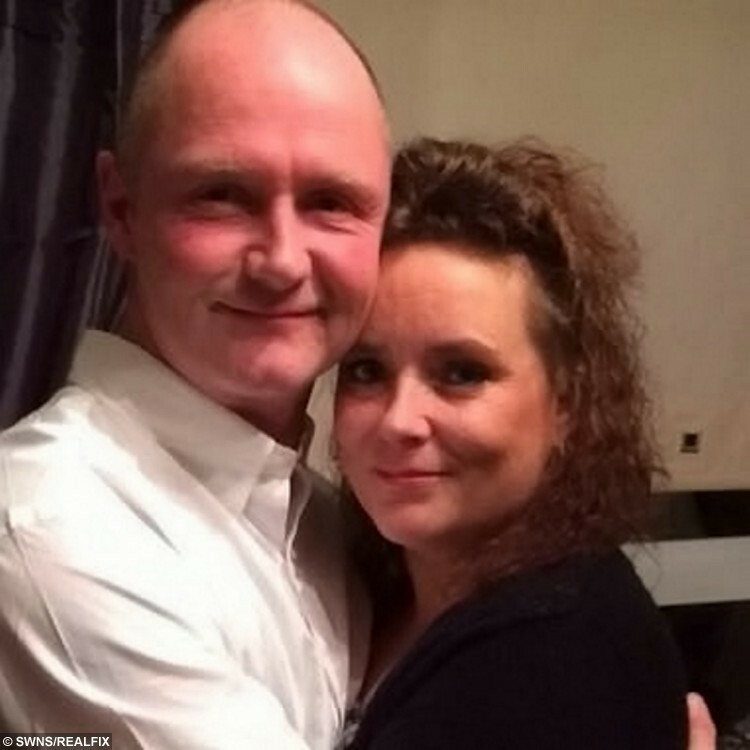 In September Stuart was transferred to Salisbury Hospital spinal unit for rehab, and Shelly ‘proposed’ to him again. She said: “It might seem an odd place to get married but all that mattered was that we approached Stuart’s recovery as husband and wife. 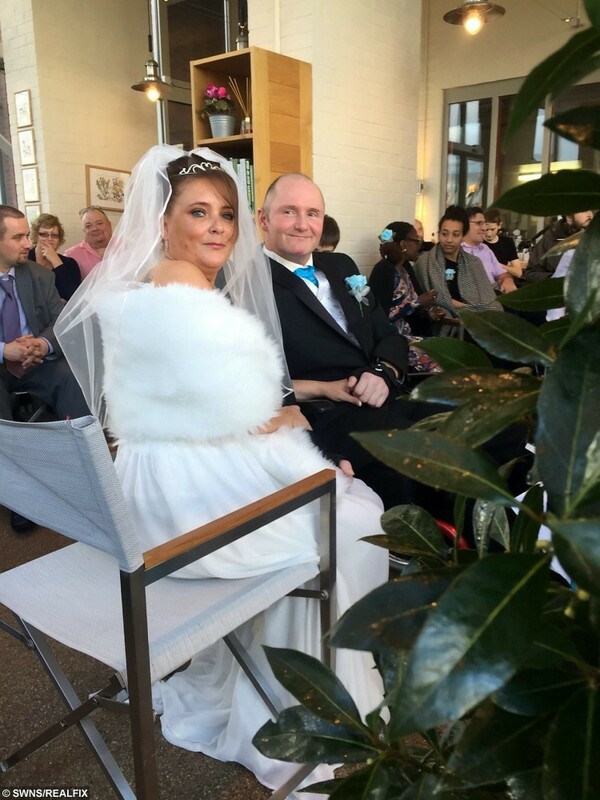 Stuart’s carer drove Shelly to the garden ceremony from the far end of Salisbury Hospital in a vintage car on November 7, when the pair finally tied the knot in front of 30 friends and 30 hospital patients. Shelly says: “When I saw Stuart waiting for me, I broke down. The newlyweds enjoyed a cake topped with a marzipan groom in a wheelchair, and Shelly perched on Stuart’s lap for their ‘first dance’ while her son Euan pushed them around. Medics have predicted that Stuart will be discharged from hospital later this year. Stuart – who’s dad to Sam, 14, and Lucy, 13 from a previous relationship – hopes to return home soon – but his injuries mean he has been forced to give up his £800-a-week job as a welder. 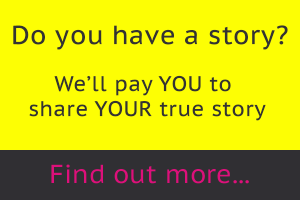 Shelly, who has children Chelsea, 18, Euan and 13-year-old Jodie from a previous relationship, has started a GoFundMe page and raised 1.5k towards buying her husband a £10,000 ‘e-move’ wheelchair that Stuart can control without moving his hands. « Previous post Couple nickname unborn baby King Arthur then discover his royal resemblance! Next article » Five-year-old is photobombed by a laughing horse!